Have you or a loved one been the victim of a crime? You may have a negligent security claim and be entitled to compensation. 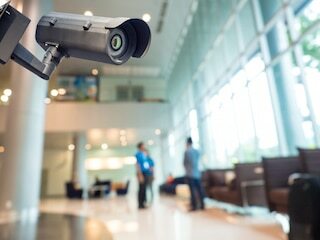 You should consult with a Miami negligent security lawyer. Contact The Berman Law Firm for a free negligent security case evaluation by a Miami negligent security lawyer. Do not assume that because your incident involved a crime by a third party that you cannot have a personal injury claim against the owner of the property where the crime occurred. The owners and operators of public places, including apartment complexes, condominium buildings, hotels, parking lots or garages, retail stores, grocery stores, bars, clubs, restaurants, or shopping malls, must maintain their facilities in a safe condition in order to deter criminal activity on their property. They are required to protect the public from suffering personal injury as the result of criminal activity. Negligent security arises when a property owner or business operator neglect their patron’s safety by failing to have adequate lighting, fencing, gates, cameras, guards, and other security measures on their property. Negligent security resulting in criminal attacks against patrons of public places occurs in South Florida with more frequency than we would like to think. Unfortunately, criminal attacks such as robbery, assault, sexual assault, and murder occur too often at Miami shopping malls, restaurants, bars, nightclubs, apartment complexes, hotels, and other public places. Many of these attacks can be deterred by security measures such as lighting, fencing, gates, cameras, and security guards. However, many business owners and operators have inadequate security measures that are insufficient to deter and prevent crime. If the owner or operator of a public place fails to protect you from criminal acts you may have a negligent security claim for the personal injury you suffer. You may be entitled to recover money for your medical and mental health care expenses, lost wages, and pain and suffering. If you are the victim of a criminal attack the most important thing to do is immediately call 911. You may need medical attention, and the police need to investigate your attack. Seek any necessary follow up care, including mental health care to alleviate the psychological trauma suffered by victims of crime. Contact us to pursue your negligent security personal injury claim. You need a Miami negligent security lawyer on your side. We will quickly identify the responsible parties and secure all potential sources of financial recovery. We will promptly investigate your case to maximize the value of your claim. Our Miami negligent security lawyer will protect your rights and obtain the compensation to which you are entitled. We want to help you. Contact us now.